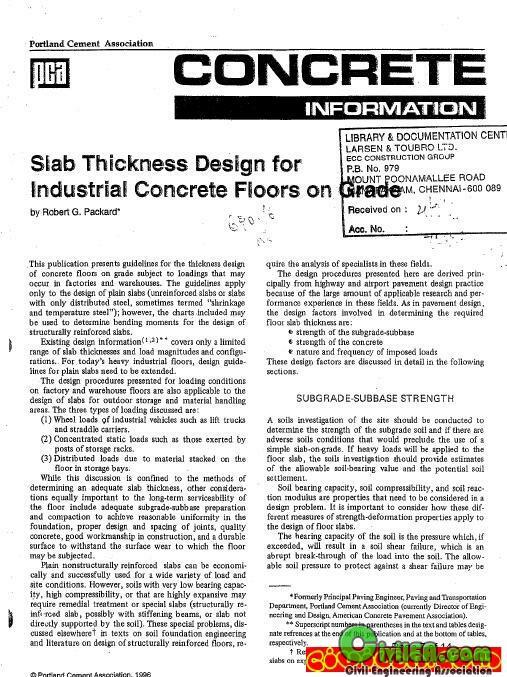 The Grade Slab is designed using Portland Cement Association (PCA ) method. PDF File ll 14 Sheets ll From On Going Project. "A Smallest Good Deed Is Bigger Than Greatest Good Intention".